Today, I’ve swapped out the black for a much softer camel, and you can see that with just a few adjustments to the accessories, the same 5 (core neutral garments) + 2 (white or light neutral tops) + 7 (accent pieces, including a jacket or coat) approach continues to work. This could be particularly useful if you have a well-established base wardrobe in your best neutral(s), and were considering making a big investment in a new accent color. The seven garments, a scarf, a couple of pieces of jewelry, and you’ve added LOTS of new options to your core wardrobe. Stay tuned; I’m still playing with this idea! by John Patrick (similar here), gold heart earrings – Alex and Chloe (similar here), white tee – Michael Stars, Scarf – Brooks Brothers (similar here), Denim coat – Derek Lam (similar here), camel pants – L.K. Bennett (similar here), penny loafers – J.
p.s. If you’re currently estranged from someone you once loved, get back in touch with the today. You might not get another chance, and the sadness will crush you. Trust me – carpe diem. Everyday I read your blog and everyday I'm amazed by your talent to arrange great outfits! They're always beautiful and classy. You're one of my greatest inspirations, thank you! 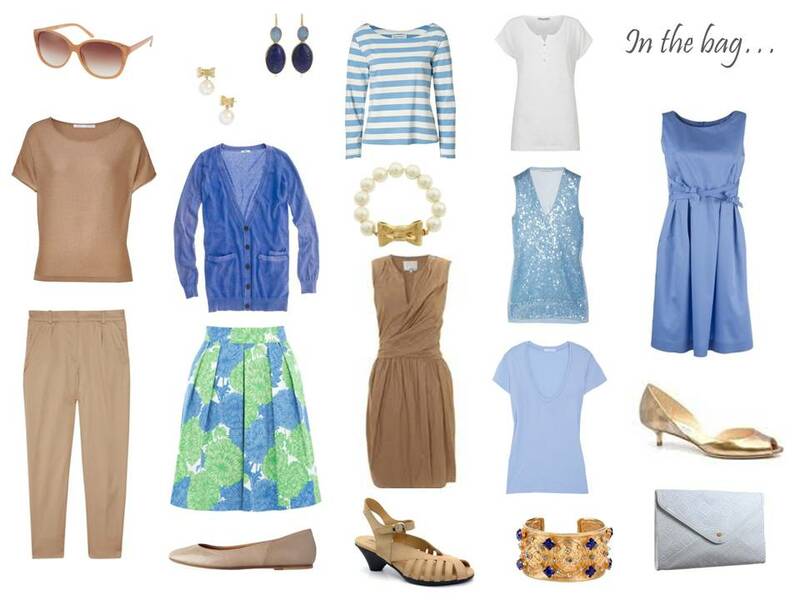 Five neutrals, plus two light neutral tops, plus seven (or fewer) pieces in the accent color. It's the current "system" I'm using for building these travel wardrobes. More to come! I love that you incorporate two outfits per day. After sightseeing all day it's so nice to change into something different for evening. Thanks for all your ideas!! You've helped me so much! Very inspiring! I wish I could wear camel because I love the camel combinations you do! I could get away with camel bottoms but never on top. So I guess for me it would have to be more of an accent than a neutral for me…? I don't think I could wear it. But your combinations are so beautiful it got me thinking maybe I could. But it wouldn't simplify things. I need to keep it simple! 🙂 Also, as a summer coloring camel may not be a good choice. Love the romantic evening outfit! The dress looks like one I would love to own. I too was wondering what the 5+2+7 approach is, thanks for explaining. I love the camel not the blue but I suppose I could substitute any other color for the blue. You really rock at creating these wardrobes! OMG! Your blog is becoming my style Bible. 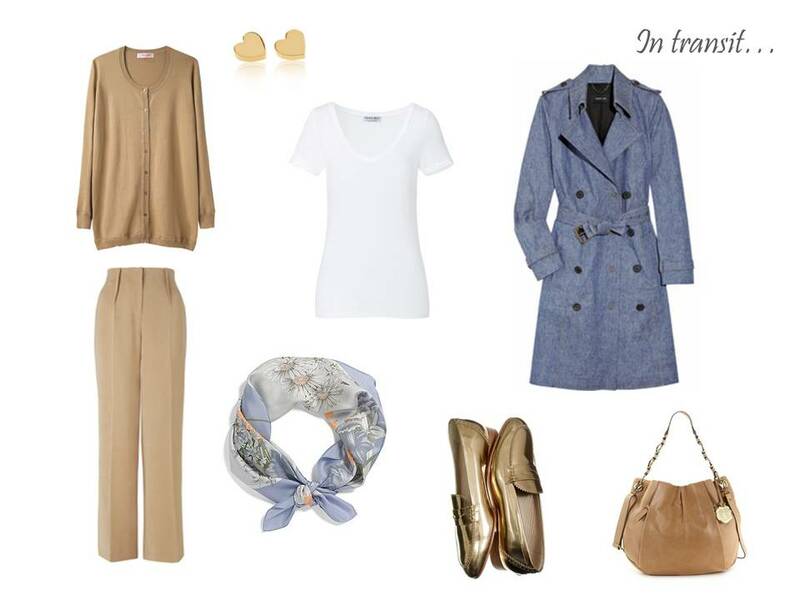 Love camel, specially the looks i"in transit" and "morning after a late night". Wishing you a nice Wednesday. Wow, I'm so happy that I found your blog. It has really changed the way that I think about my wardrobe. I would also love to see a wardrobe for an active vacation. Thank you for posting! New to your blog. Just got back from Paris and just craving parisian style. Love, love, love your site. I log in first thing every morning, just in case you are there. The Vivienne files make my day. Filled with inspiration!